The B Resort Orlando-Does it Offer Luxury For Less at Disney World? Walking into the B Resort Orlando lobby, you feel like you are in Miami Beach; you don’t feel like you are at a Disney Springs (formerly called Downtown Disney) hotel, unless, of course, you look to your left and see the large Disney store. That’s what’s so great about the B Resort Orlando. It works as well for families as it does for adults who are traveling for work. I have been to Orlando several times in the last few years to understand every possible option for accommodations for an Orlando vacation. I have stayed at eleven properties and inspected nine more. I have prioritized the most luxurious choices for Luxe Recess, but I have to include the B Resort & Spa Lake Buena Vista (check for rates on your dates) for exceptional value and for a stylish haven from the drab and depressing options for aesthetically-sensitive parents at Disney World. Read our guide to the best new restaurants at Disney Springs. 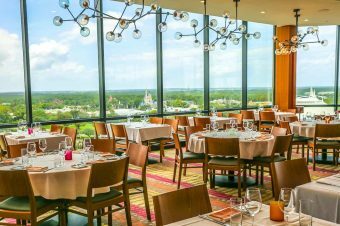 The B Resort & Spa is less than a year old, and its opening in the summer of 2014 was probably eclipsed by the opening of the Four Seasons Resort at Walt Disney World. Walking into its lobby, you feel like you are in Miami Beach; you don’t feel like you are at a Disney Springs (formerly called Downtown Disney) hotel, unless, of course, you look to your left and see the large Disney store. 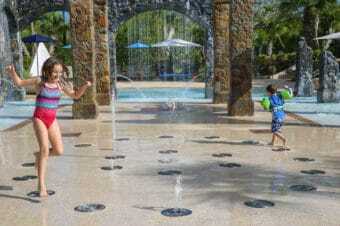 That’s what’s so great about the B Resort Orlando. It works as well for families as it does for adults who are traveling for work. The lobby’s centerpiece is a Proust Geometica Chair designed by Alessandro Mendini. It’s whimsical colorful fabric plays into the resort’s vision of sophisticated, yet playful design. You can buy your own museum-quality piece for just under $15,000. Style and Disney side by side. For park-going guests, the B is an official Disney Springs hotel and offers continual bus transportation to all theme parks shared with two neighboring hotels. We used these buses while visiting Epcot and found no difference than when we used Disney resort buses the week prior. Public spaces and rooms are beautiful, using a great mix of white to show contrast with bright, rainbow colors. The hotel promotes the local art scene with their “B Artistic” program, allowing guests to buy works on display directly from the artist. The hotel plans to offer art classes and events in the future. Family rooms with bunk beds. Larger rooms with two queens and a twin sleeper sofa area also great for families. B Treated mini-bar with bubble wands and other surprises. Benson the frog waiting for all guests (for a fee, he’s yours). 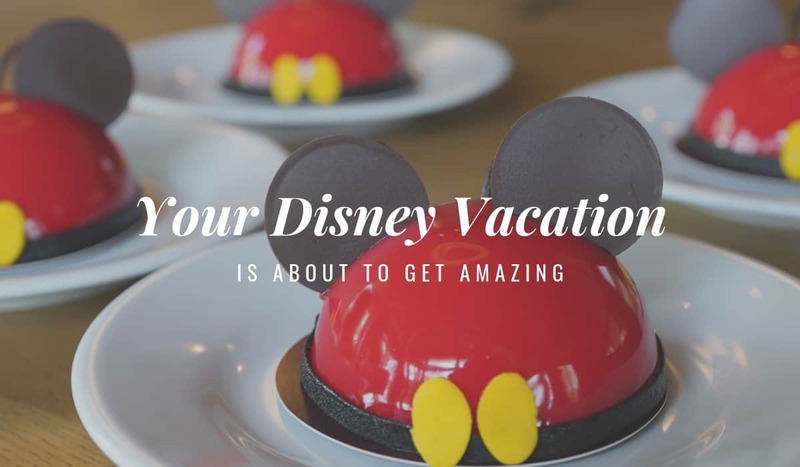 The resort has large exterior lounges from the pages of a West Elm catalogue flanked by the ubiquitous life-sized chessboard found at every Orlando resort, and meeting space for conferences and weddings. The pool has a zero-entry section decked by mini splash fountains for the swim diaper crowd. Adjacent to the pool, the unstaffed playroom offers board games, craft tables, computers, televisions, and foosball to entertain toddlers to tweens. Families can request the patio wing whose rooms surround the pool area for easy access. Many of these rooms have bunk beds and private patios, too. The chess board at the outside lounge. The zero-entry pool and fountains. Compared to Disney value resorts in the same price range, the B is the clear winner, to me, in terms of comfort and convenience: quality hotel bedding, mini bars with $5 flat-fee treats (“B Treated”), twin-sized sofa beds in double queen rooms, new bathrooms, a business center, gym (“B Active”), and Aveda spa and salon (“B Indulged”) on site. The “concierge” in the lobby. The gym at the B Resort. 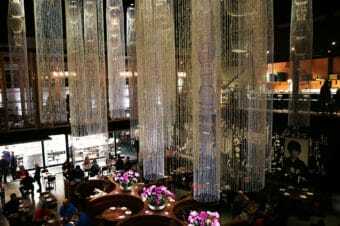 Food is another area where the B Resort shines. The food courts at Disney’s value resorts (with the exception of the very exceptional Art of Animation Resort) make me long for the cafeteria at IKEA. The B Resort offers a locavore restaurant, coffee bar, and 24-hour room service. We did have a now-comical experience with its room service. After a full day at Epcot, we decided to order in instead of eating out. There was no children’s menu except for breakfast. I ordered my famished and grouchy daughter a grilled cheese sandwich. I appreciated that the hotel was nearly sold out, so the food took a bit longer to arrive; my 9-year-old’s plea for food became dramatic in that post-park meltdown parents dread. When that knock at the door from room service came, my husband and I exhaled. The grilled cheese was not a sandwich, but two small circular bites that, combined, used only one slice of bread. She practically burst into tears at the meal that might have fed an 18-month-old as an afternoon snack. I called back and asked if we could have a real sandwich, but worried how long it would take. We were ready to crash, and crash hard. I didn’t think the person on the other end sounded that engaged by my predicament, but in fact, the food and beverage director called me back seconds after I hung up the phone. “Were you expecting something different from your order?” he asked. I recall laughing, “Yes, I expected a sandwich using two slices of bread.” He personally delivered a new sandwich within ten minutes along with a mini split of pink champagne. Excellent resolution, in my opinion, from a savvy hotel. There is a coffee bar in the lobby that serves ice cream and other snacks you’d more likely find at a Whole Foods than a gas station, and a huge pile of stuffed frogs. These frogs are part of the hotel’s “B Humane” initiative. Symbolizing the indigenous Gopher Frog, the hotel places these stuffed animals in each room upon check in. For a price, it goes home with you, and a portion of sales goes to the Wildlife Foundation of Florida. The breakfast was excellent and varied to satisfy both my kids with Mickey Mouse waffles (that actually tasted good) and my equally finicky gluten-free husband. I liked how the free coffee station was next to the long communal table, and I saw guests mingling while caffeinating. The most genius thing about the restaurant was the use of the red truck as its flatbed buffet. My kids were eager to climb in the truck after breakfast, and I assumed it was OK since the doors looked slightly ajar. They found that the truck’s rearview mirror and glove compartment had been converted to a digital photo booth. Hats off to such clever people who came up with this idea. One service that the Disney resorts offer is the Magical Express. When I asked the B Resort bellman to arrange a taxi to the airport, however, I learned there are town cars at the hotel available for a flat fee to the airport. I reserved our preferred time, and it was flawless. The only key amenity the B Resort Orlando cannot offer at this time is the Magic Band experience and additional 30 day window to book Fast Passes, but that will only bother the die-hards who would never consider staying off property anyways. The hardest part of Disney World to access by any form is transportation on our last several trips has been Disney Springs with the contraction of its expansion. The B Resort is directly across the street from Disney Springs and will be super convenient for an adult’s only trip to Disney World. Can you find my hidden Mickey in this pic? Buses for Disney Springs hotels. I was very impressed with the B Resort and think it is an excellent choice for those wanting the most hotel for the least money. As Disney Spring’s massive expansion to include more nightlife and upscale shopping is finished, the B Resort’s adjacent location makes it increasingly appealing to more upscale shopping and new restaurants like Marimoto Asia. Although I imagine it will become one of the more popular hotels in the area for conferences and destination weddings, I felt it was an excellent budget alternative that was far more convenient than our on-site stay at a value resort that same vacation. B Back. Although we were hosted by the B Resort & Spa, the opinions expressed in this article are my own. Check your travel dates for rates. Love all the fun color in this resort! Thanks for sharing pics! Looks like a great hotel in a great location. With so many properties to choose from, it’s always nice to find one that is a good alternative to Disney properties for families on a budget. The grilled cheese debacle is hilarious (although I imagine it wasn’t at the time). I mean honestly, how do you have a sandwich without two slices of bread? Hopefully they’ll change this in the future, or maybe they won’t and we moms can all get a well deserved glass of champagne. : ) Another great review! What a great looking hotel! 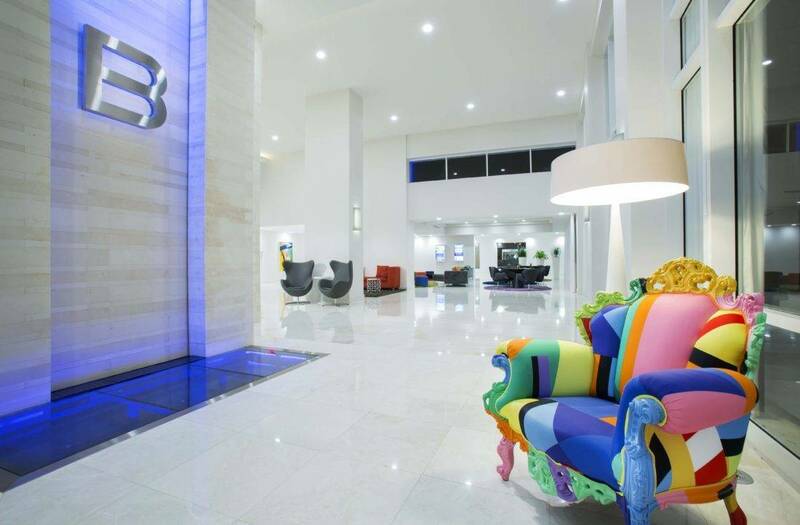 I love how bright and colourful it is – especially that chair in the lobby! I hadn’t even heard of this hotel before now so it’s nice to know that there are additional options in the Orlando area. One more shout out for all the gorgeous colors in this fun Disney hotel. Love that it’s a good value too!